Save time and work easier from the field with Realeflow's November 2018 improvements! In this article, we are going to check out some of the new updates that were released in November. Our developers continue to work hard on optimizing Realeflow so you don’t have to work as hard using it. Now we all know that certain words invoke a certain feeling. 'Drag,' for example, will give you the impression that something is tedious or somewhat of a downer. Maybe you had to drag yourself out of bed this morning or you find rearranging your sock drawer a real drag. Most of us probably do. The same can be said of 'Drop.' We’ve all experienced dropped phone calls or someone occasionally dropping the ball at work. Neither are good. But this first update will have you seeing 'Drag and Drop' in a whole NEW positive light! 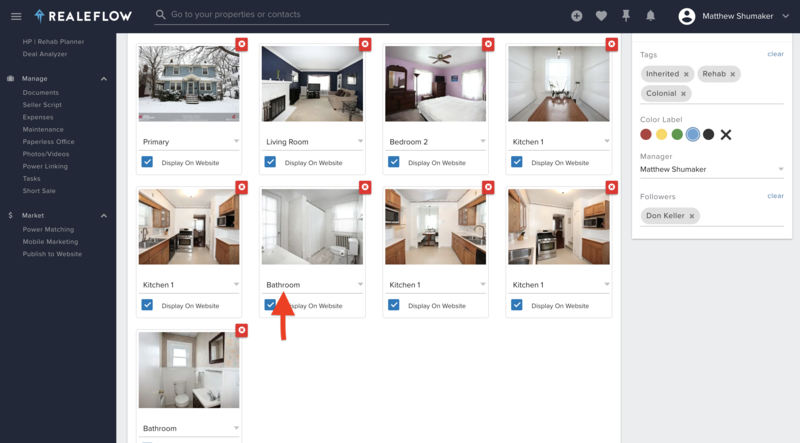 We’ve introduced a new drag and drop functionality that’s going to save you time and make it easy for you to rearrange your property listing photos. 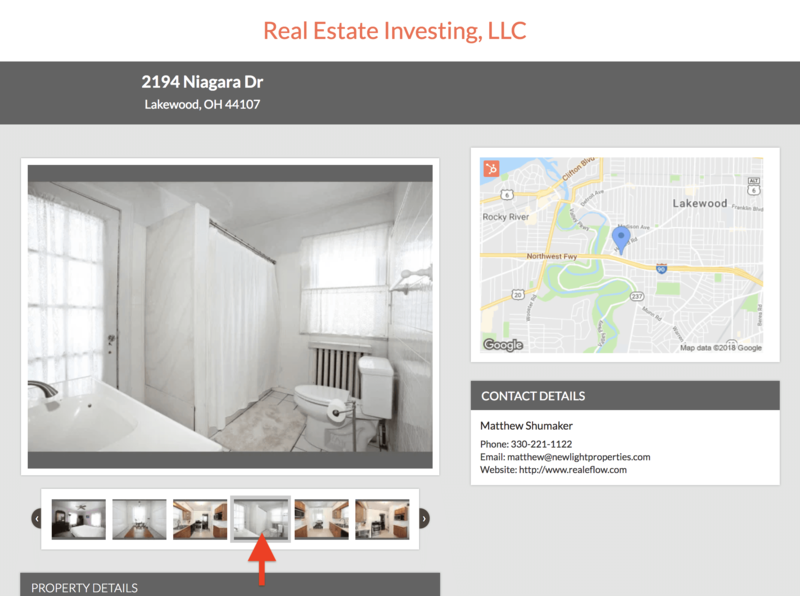 Currently, images on your property listing pages in Realeflow appear in the order that they've been uploaded to the property file. Below, you see a bedroom image between 2 kitchen images. Here is what that looks like inside of the Property File inside Realeflow. In the past, if you wanted to rearrange the order of the images, you would’ve had to delete them and re-upload them in the proper order. That, alone, was a very time-consuming task. They will instantly rearrange to your desired order on your published listing page, ensuring that your listing looks well organized and professional. The other thing that you will notice is that you now have the ability to choose which photos you want displayed on your website. So now, only the best pictures make their way to the Property Listing page of your website. Our next update is designed to give you a better mobile experience as we continue to free you from the tether of your computer. 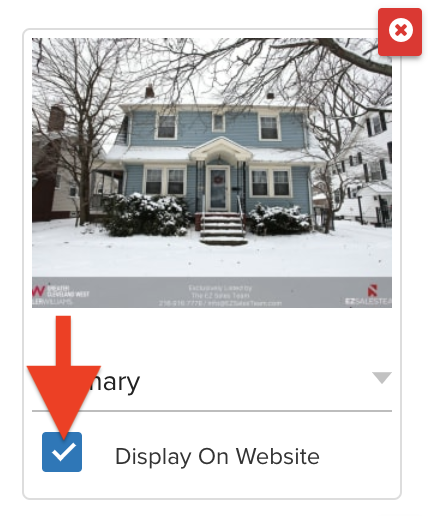 We’ve added Contact and Property details navigation to the mobile experience. Now the same options that appear in the side navigation on your computer are available on your mobile device. Let’s look at a property file as an example. Create new linked contacts and tasks. 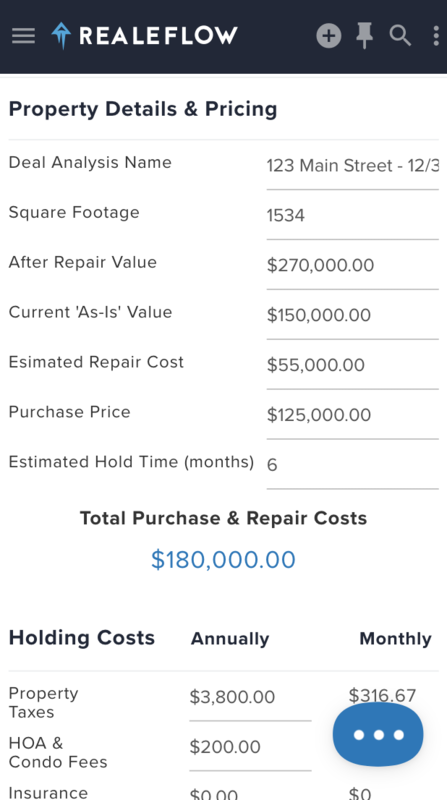 Run comps, do repair estimates, access the rehab planner, and analyze a deal. Manage documents, access the paperless office, and access power linking. ...All from your mobile device. We’ve totally redesigned the One Page Deal Analyzer to make it easier to use, more intuitive, and, best of all, more mobile. Note: If you already have existing one-page deal analyses in your account, they will now be presented in this new format. The first thing you’ll notice is a new interface that is cleaner, less cluttered, and an overall better usage of screen real estate. The sums for each section are also much more predominately displayed for quicker assessments. After quite a bit of feedback from our users regarding how their financing works, we also have given you more options when it comes to how your loan is calculated. 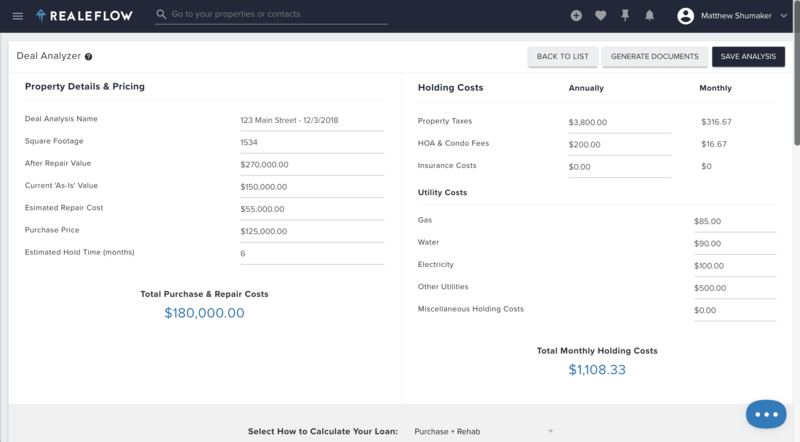 Now, you will be able to choose whether your lender is lending a percentage of the ARV (the after-repair value), Purchase Price, or Purchase Price + Rehab Costs. Simply input the percentage that each lender is lending on, along with any points and the annual interest rate. This will help you calculate your monthly interest, as well as your total financing costs. 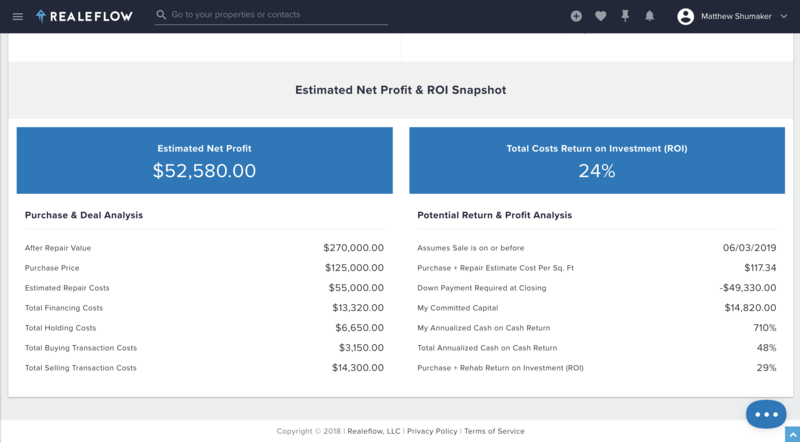 You’ll also notice that the reporting section is easier on the eyes with the ever-important Net Profit and ROI information displayed front and center. Lastly, this all new Deal Analyzer looks and performs great on mobile. Everything is laid out and all the fields are easily accessible ,making it easier than ever to perform a Deal Analysis from the field. All we ask is that you analyze responsibly. Please don’t analyze and drive. Thank You. We hope that you’re as excited about these latest updates as we are to present them to you. Ready To Give Realeflow A Try? We look forward to continually growing our business alongside yours. So, let us know if you have other ideas or features you'd love to see us implement by emailing us at brightideas@realeflow.com. 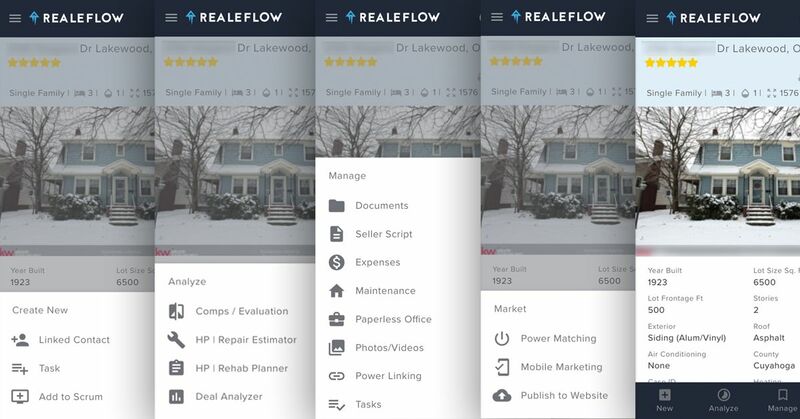 Check out these updates for yourself by starting your 30-day Free trial of Realeflow today. We look forward to working with you and helping you succeed in real estate investing.